Ireland has recently developed itself as a world-class global film-making hub, bringing its irresistible natural landscapes to an international audience. In particular, Game of Thrones®, a global phenomenon and HBO’s most-watched show on record, has been transformative for Ireland as a screen tourism destination. Home to more Seven Kingdoms locations than anywhere else in the world, Northern Ireland has truly earned its title as Game of Thrones® territory. The forests, mountains and moorlands are utilised as the scenic backdrop for many memorable moments in the show. 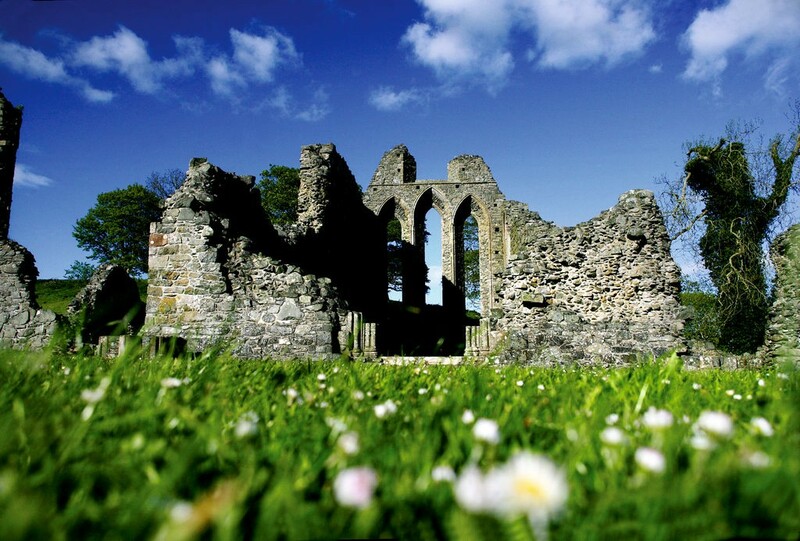 Inch Abbey in County Down where Robb Stark’s camp was located in season one of Game of Thrones®. While the Seven Kingdom’s might seem like worlds away for fans, many of the key locations are completely accessible for visitors to Northern Ireland. The best part is, incorporating these Game of Thrones® sights in to a visit to Ireland is a lot easier than one might think. The distance between these locations in the show seems extensive, but in real life many of them actually lie side-by-side. Game of Thrones® set up its film headquarters in Belfast since all of the otherworldly landscapes were less than two hours away from this vibrant city. Similarly, visitors can use Belfast as a launchpad and see all their favourite filming locations come to life in just a few days with a hire car. And they may even discover unexpected and unique filming locations on the way. 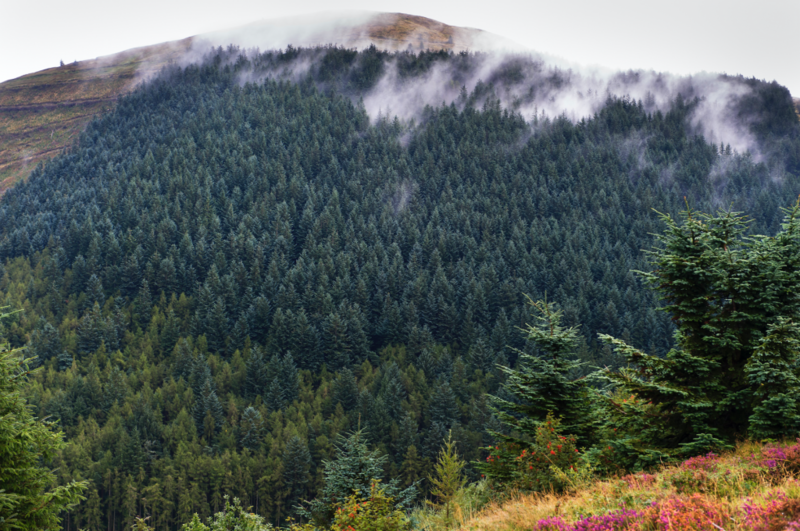 Tollymore Forest Park in County Down is transformed into the Haunted Forest, where some of the first scenes of the series take place, with the Starks finding the dire wolves. And it’s also where the White Walkers make their march into the realm of men. These 600 hectares hold ancient redwoods as well as Gothic stone arches, the remnants of an 18th century estate. Open every day from 10am to sunset, the striking features of this romantic forest park in the foothills of the Mourne Mountains will be memorable even for those who aren’t Game of Thrones® fans. 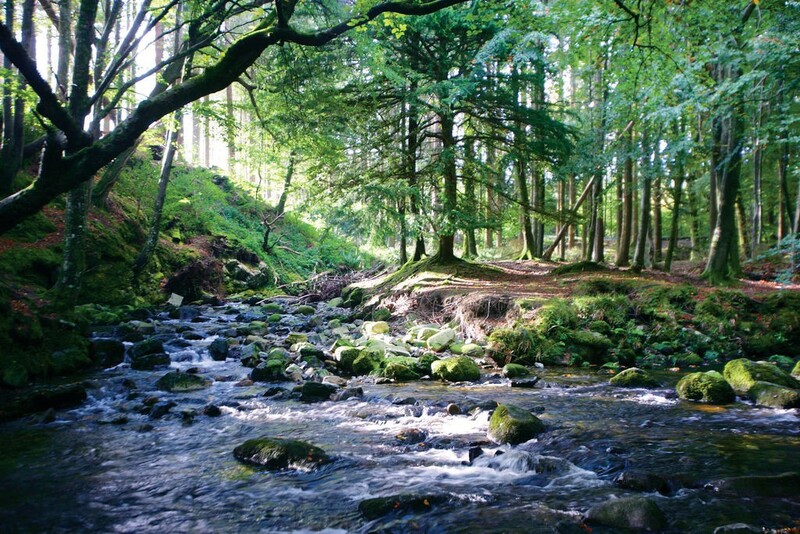 Tollymore Forest Park in Newcastle, known as the ‘Haunted Forest’ in Game of Thrones®. Winterfell is where the series was truly set in motion, and the 820-acre walled demesne of Castle Ward in County Down, provided a prime location for House Stark. The crenelated 16th century ruin doubled as Winterfell and its courtyard, becoming one of the most-loved castles in the Seven Kingdoms. 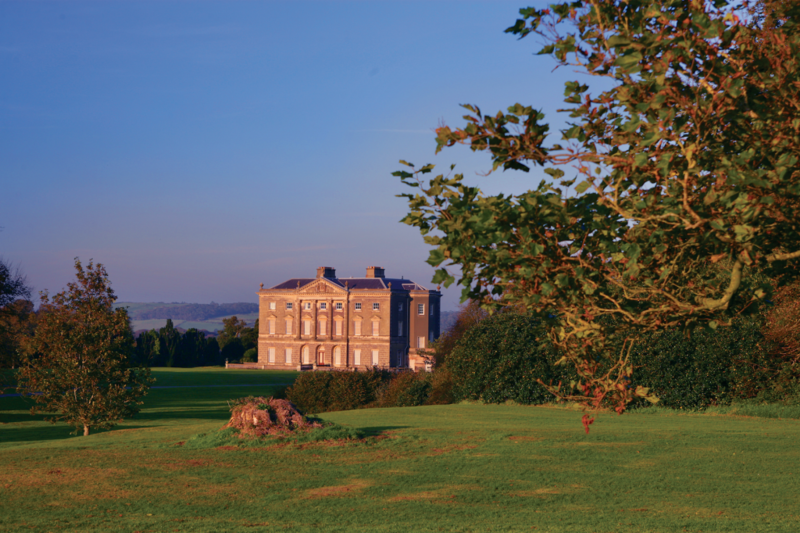 Castle Ward, County Down, became home to House Stark in Game of Thrones®. 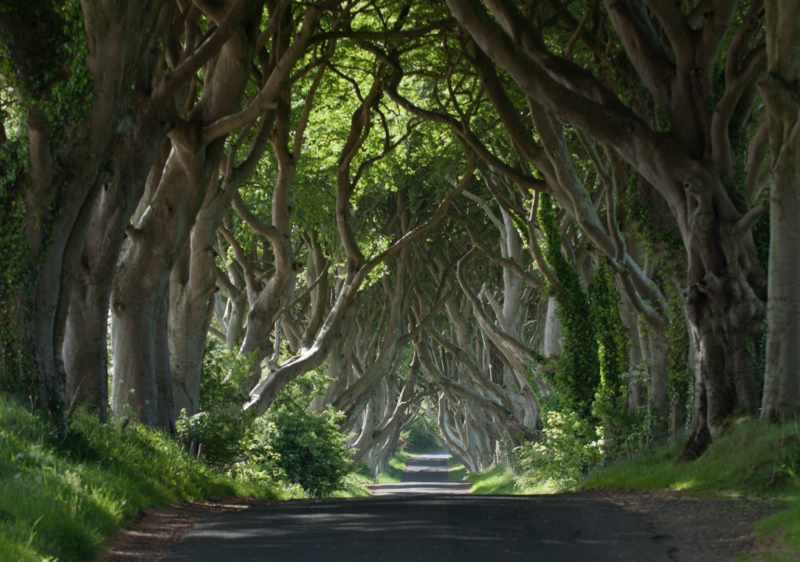 The Dark Hedges, a haunting avenue of serpentine beech trees near Armoy, County Antrim, became the Kingsroad, where Arya escaped Kings Landing disguised as a boy. The stunning avenue of trees is always open, and after two centuries of existence, they have become one of the most photographed natural phenomena in Northern Ireland. The Dark Hedges in Ballymoney, known as the ‘Kingsroad’ in Game of Thrones®. Along the northern coastline of County Antrim lies Murlough Bay, better known as Slaver’s Bay in the Seven Kingdoms. The bay is located between Fair Head and Torr Head, and is known for its remote location, with close views of Rathlin Island and views across the ocean to various Scottish islands. The remote Murlough Bay in County Antrim, better known as Slaver’s Bay in Game of Thrones®. 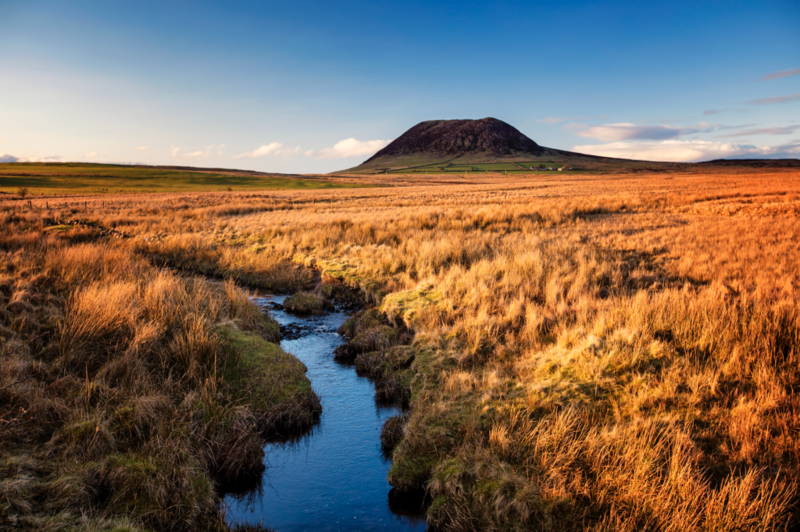 Also in County Antrim is Shillanavogy Valley, beneath Slemish Mountain, better known as the land of the Dothraki, creating a stunning backdrop when the Khalasar departs Pentos and rides to Vaes Dothrak. Shillanavogy Valley, beneath Slemish Mountain in County Antrim, recreated the Dothraki grasslands in Game of Thrones®. The entrance to Vaes Dothrak can be found in the Mourne Mountains in County Down. Leitrim Lodge at the foothills of the mountains also became the lands north of Winterfell, where Bran first met Jojen and Meera in the woods. And these dramatic slopes must seriously radiate fantasy, as it was this exact landscape that inspired author CS Lewis to create Narnia. Mourne Mountains in County Down, the entrance to Vaes Dothrak and the lands north of Winterfell in Game of Thrones®. Cushendun Caves in the ever popular County Antrim, which formed over a period of 400 million years, is the spot where Melisandre birthed the shadow assassin. 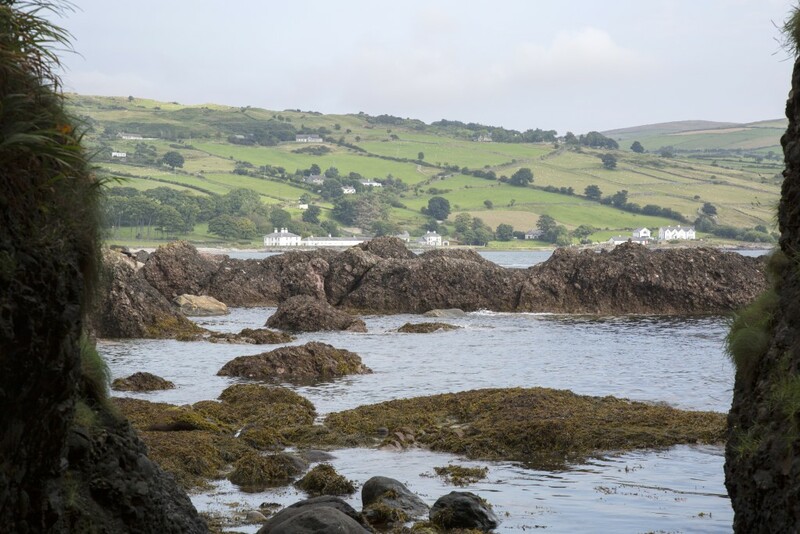 Visitors will be intrigued not only by the caves, but by the charming historic village of Cushendun, which is steeped in character and folklore. Antrim’s Cushendun Caves, the birthplace of the Shadow Assassin in Game of Thrones®. 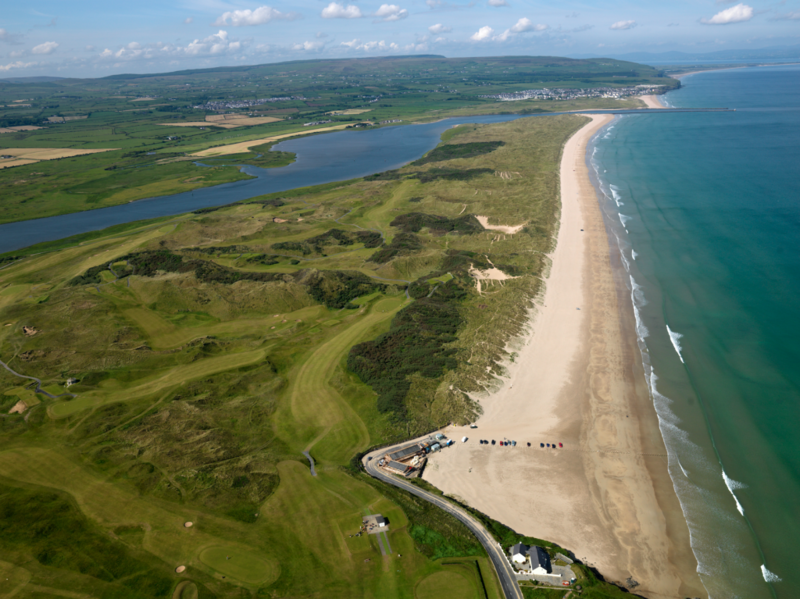 County Derry-Londonderry’s Portstewart Strand boasts a two-mile stretch of golden sand, which perfectly complimented the season five scene where Jaime and Bronn approached the gates of the Water Gardens and fought the Dornish. As one of Northern Ireland’s finest beaches, the location offers views of Inishowen headland and Mussenden Temple perched atop the cliffs. Portstewart Strand is the scenic spot where Jaime and Bronn were disguised as Martell soldiers in Game of Thrones®. 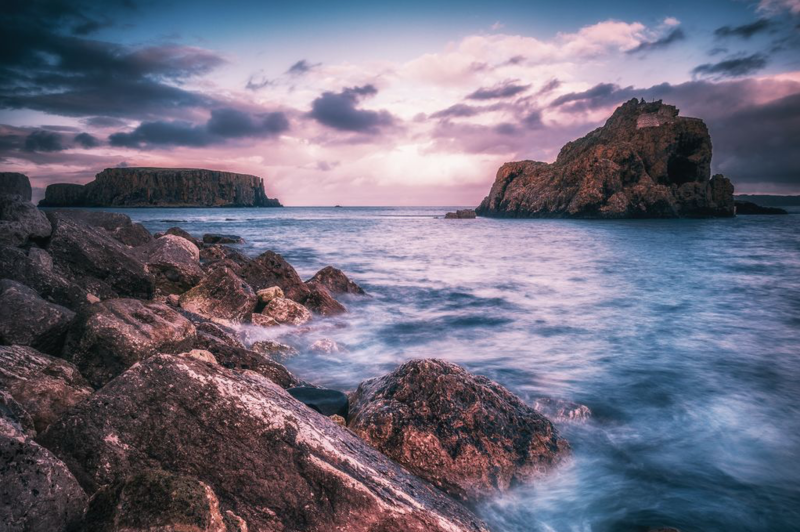 While many iconic scenes from Game of Thrones® were filmed in Northern Ireland, other parts of the island have also been captured for the big screen. 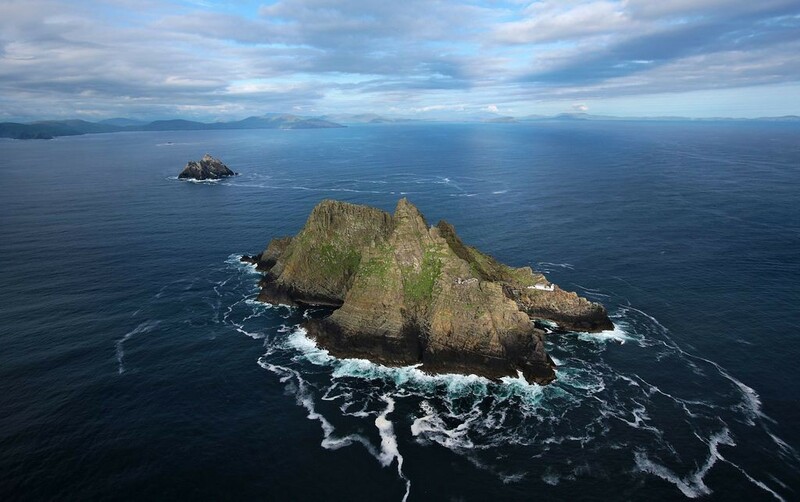 In the southwest region of Ireland, Star Wars: The Last Jedi was filmed on Skellig Michael in County Kerry. Skellig Michael was home to one of the earliest monastic settlements in Ireland, with the monks of St. Fionan’s monastery living in stone, beehive shaped huts on the remote island. Skellig Michael was the main location for the filming of Star Wars: The Last Jedi. Location scouts were also taken with numerous locations dotted along the Wild Atlantic Way in Ireland’s west, such as Cork and Donegal, which eventually appeared in the film. The Dark Sky Reserve on the Wild Atltantic Way featured in Star Wars: The Last Jedi. The cast and crew celebrated at multiple local pubs along the way, with the owner of Farren’s Bar in Donegal marking their visit by painting a mural of Yoda on the side of his pub. 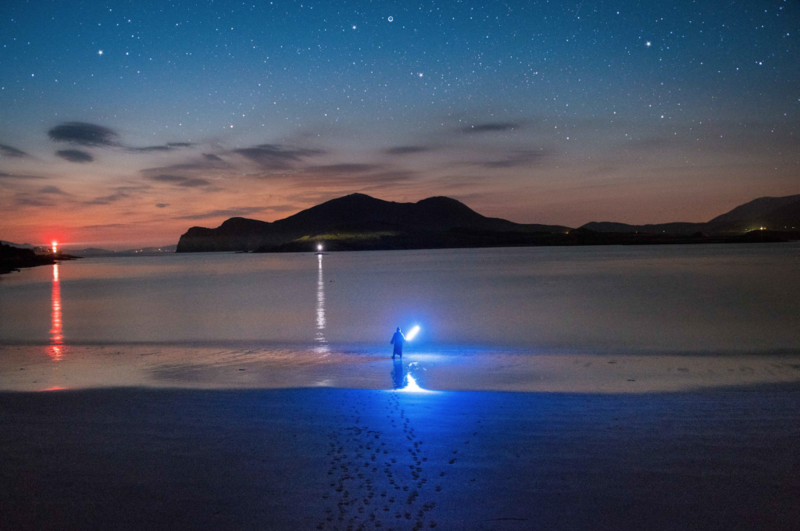 Other parts of Ireland’s Wild Atlantic Way are also set to be transformed into a galaxy far far away for the next instalment of the Star Wars series. 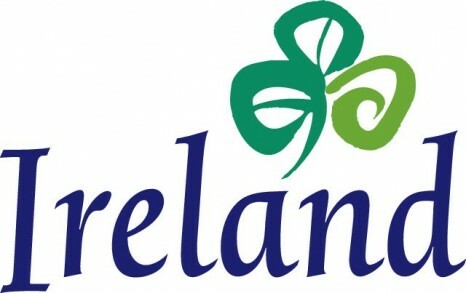 And to bridge the gap between fantasy and reality, all travellers need to do is take a trip to the island of Ireland. To find out more, visit Ireland.com. Northern Ireland is a truly magical part of the world, filled with stunning scenery, charming cities and some of the best coastline we know of.